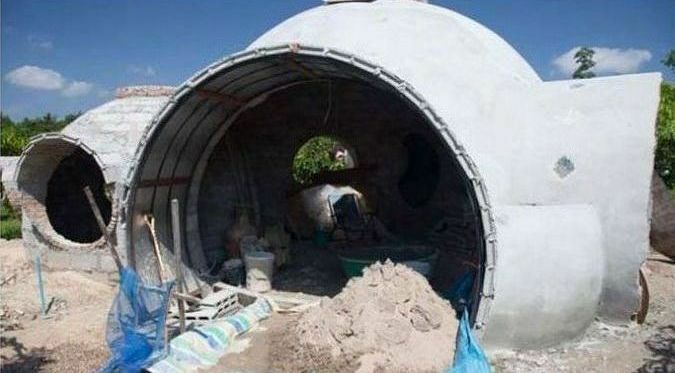 As much as Steve loves his dome home, he probably would not have built it if it was a long process. The low cost and time-efficiency of using blocks is what enticed him into building. Because suitable compressed earth blocks were not available at the time, cement blocks and clay bricks were used. Now the goal is to take this design ..which is quick, affordable, strong, beautiful and fun, ..and build with more sustainable materials that better insulate for colder climates. Hajjar recently built a compressed earth brick press and is preparing to build a earth block dome at his next workshop. He is also developing a system for building with cellular concrete, which will offer much better insulation.